What you have to do is to create three APN settings on your phone. Below are the APN settings. 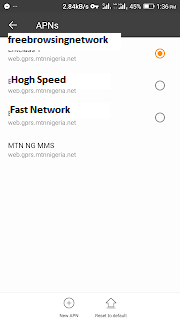 These APN settings also applies to MTN 3G & 4G sim. >>> Password: web Leave the rest at default. Comment on "High Speed MTN APN Settings For Smooth And Stable Browsing"